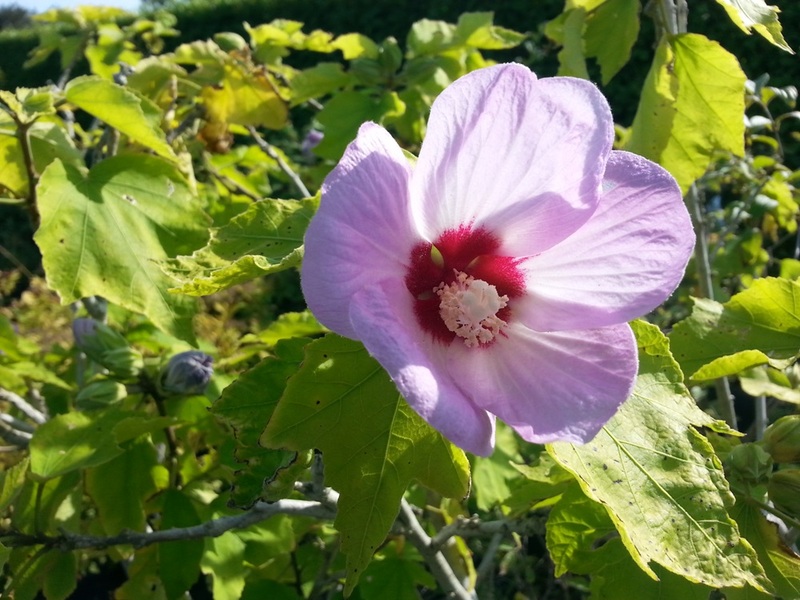 Hibiscus Lilac Queen provedes like so many Hibiscus a late summer feast of flower colour. 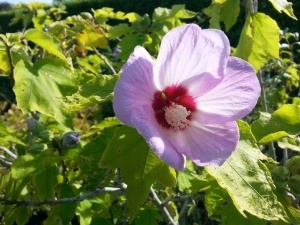 The flowers are a lovely intense shade of lilac pink with a prominent red eye. A strong growing and reliable performer and in common with other Hibiscus needs free draining soil and a place in full sun.